The Lexus CT 200h also offers up unique styling cues that are all its own featuring a one-of-kind hatchback. 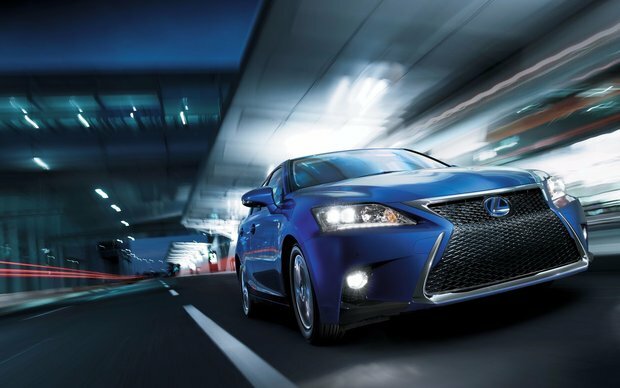 The Lexus CT 200h was the world’s first ever luxury hybrid. Those are some big shoes to fill and some serious expectations to live up to. However, the CT 200h has filled those shoes as well as met and surpassed tall expectations in terms of design, quality, drivability, performance, and fuel efficiency. Not only is the 2016 Lexus CT 200h fuel-efficient thanks to Toyota-bred hybrid technology, but it’s also luxurious inside with a sporty disposition that offers a dynamic drive. Wearing the aggressive and oh-so stunning spindle grille up front, the Lexus CT 200h also offers up unique styling cues that are all its own featuring a one-of-kind hatchback. 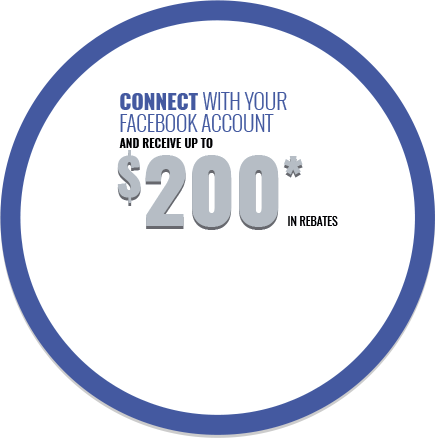 Not only will you stand out in a crowd for your good choice in fuel-saving, but also for your stylish taste in the 200h. For an even more aggressive and in-your-face look, add on the F SPORT package for a whole new level of awesome with the 2016 Lexus CT 200h. 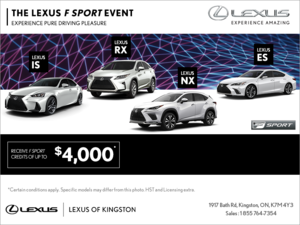 And it’s not just about exterior aesthetic bits with the F SPORT package; you’ll also see an increase in handling abilities, as well as a race-inspired steering wheel and setup, and even a sport-tuned suspension that includes front and rear lateral performance dampers -- on a hybrid. 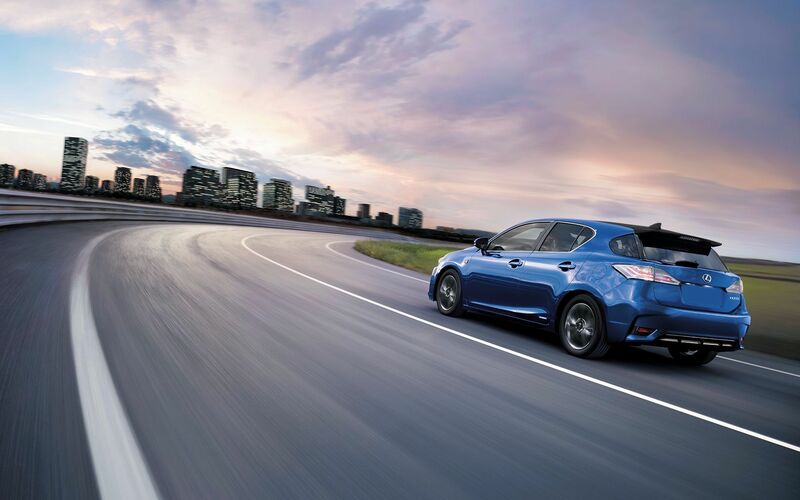 Lexus means business here, and the CT 200h is here to impress. The 2016 Lexus CT 200h redefines the term "eco-friendly"
The most important part about the 2016 Lexus CT 200h is, of course, its fuel efficiency. Equipped with a Lexus Hybrid Drive engine (a combination of a 1.8L 4-cylinder VVT-i Atkinson Cycle Engine and an electric motor), the CT 200h produces a net horsepower of 134. That means the 2016 CT 200h will return fuel ratings in the 5.5L/100km (city) and 5.9L/100km (highway) range. Consider the fact that the 2016 Lexus CT 200h seats five and has approximately 400 litres of cargo space in the trunk (yes, with rear passengers) and that’s pretty damn impressive in terms of fuel economy. Oh, and did we mention the sporty and invigorating drive you’ll experience behind the wheel of the 200h thanks to drive modes you can cycle through depending on your style of driving and how you feel? Yeah, it’s all there. Step inside the 2016 Lexus CT 200h, and you’ll continue to be impressed by the level of luxury and of course the amenities on hand. 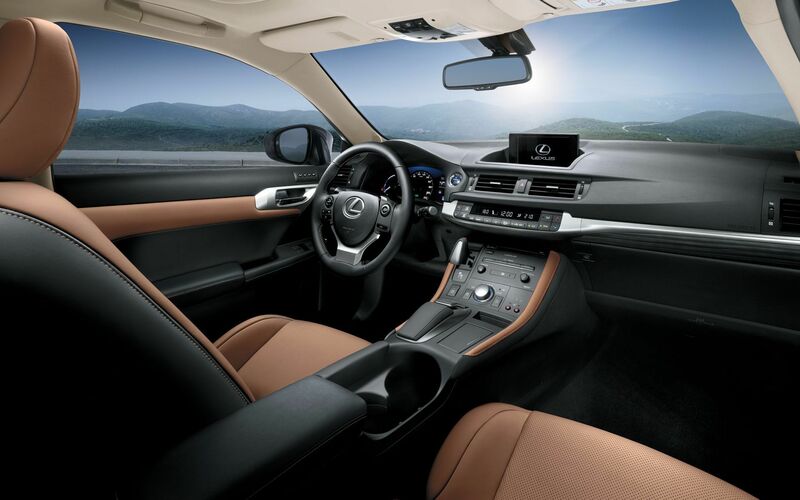 Equipped with Lexus’ Remote Touch HMI system, the CT 200h features the manufacturer’s futuristic and innovative trackpad system to control the dash-mounted screen. 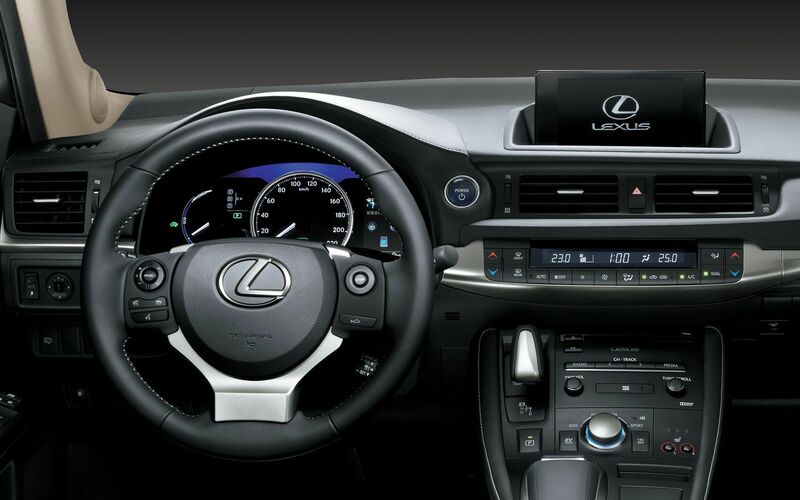 Along with said feature, there’s also satellite radio, navigation, an available back-up camera, USB ports, Bluetooth, and a host of steering-wheel mounted buttons to ensure you can perform basic requests without having to take your eyes off the road or your hands off the wheel while driving the 2016 Lexus CT 200h. Lexus has truly demolished the idea that there’s no such thing as a fun-to-drive hybrid and proved quite the opposite with the Lexus CT 200h. Combining luxury, performance, and fuel efficiency into a great-looking package is just what the Japanese luxury-brand manufacturer did, and this latest iteration of the model is just as endearing and satisfactory as the previous one. If you want to find out more about the 2016 Lexus CT 200h, head down to Lexus of Kingston today to speak to one of our experts, and don’t forget to book a test drive, too.